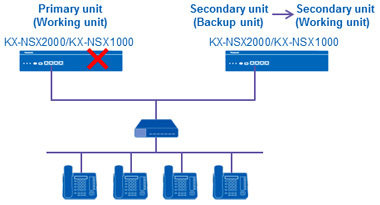 With a primary unit and secondary unit installed, if a problem occurs with the working system on the primary unit, the backup system of the secondary unit is promoted to the working system and continues operations as KX-NSX master PBX. 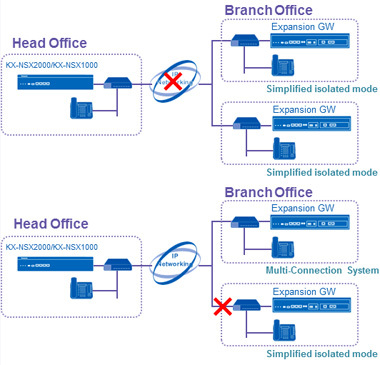 If network trouble occurs with a multisite connection, the Expansion Gateway (KX-NS series) at each site can operate as a stand-alone system. The KX-NSX is resilient and enables communication to continue.